Individuals who have achieved the First Aid at Work Certificate are required to re-sit the first aid at work requalification assessment within three years to maintain a valid certificate. This ensures their ability to respond effectively to emergency illness or injury situations in business. 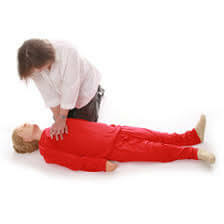 This will also keep them up to date with knowledge of changing approaches and techniques in delivering first aid. – Introduce new developments and techniques in delivering first aid. – Re-energise knowledge of how to deal with emergency situations. – Raise individuals’ confidence in their ability to respond positively and calmly in an emergency. – Priorities of first aid. The course will be assessed through examination on day two.